With Prince Harry married and settled down, there’s less talk of a wild royal. Now grocery store tabloids feature stories of Duchess Megan’s pregnancy, potential rifts within the family, and other tales. Her name is Princess Margaret, the rebel princess. I recently viewed part one of Margaret: The Rebel Princess which premiered Sunday February 10, 2019 (in a morbid twist, she passed away February 9, 2002). After watching the first episode, I am amped up to watch the second episode online. Part oneof this 60 minute documentary explores Margaret’s early years on the cusp of the 1960’s revolution. Part two discusses the unpredictable twists and turns her life takes. Coincidentally, Margaret’s follies directly impact her own sister’s, the Queen of England’s, children’s lives. Out of a laundry list of missteps, watch and discover which one mistake “helped” Prince Andrew and Prince Charles in later years. This series is chock full of animation-based transitions, colorful maps, and a recreated interview based on a BBC radio interview from January 17, 1981 where Princess Margaret gives her thoughts on the pivotal moments of her life. Interviews from Christopher Warwick, authorized biographer of Princess Margaret, and from close friends, paint a picture of a young woman with a mischievous glint in her blue eyes, and an indomitable will that can’t be crushed. Archival footage, and personal anecdotes demonstrate how she took her role as princess very seriously. For instance, Lady Anne (one of Margaret’s closest girlfriends), recalls Margaret reprimanding her as a child for referring to King George simply as Margaret’s father. She corrected that “his majesty” is doing well and she, the princess, was also well. There’s also a few tales on how her relationship with her sister, the future Queen Elizabeth, changes drastically. All I have to say is the green-eyed monster comes out when a certain someone starts studying constitutional law. 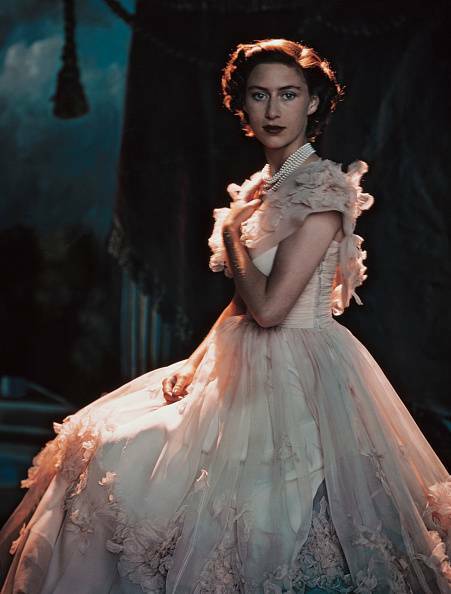 Princess Margaret was the younger sister of Queen Elizabeth. She was born Aug 31, 1930. Her life changed at age 6 when her uncle, King Edward VIII, abdicated the throne in order to marry Wallis Simpson, a twice-divorced American. Margaret’s father, King George VI, became king on May 12, 1937. That was the day when Princess Margaret moved up from fourth in line to the throne to second in line. The young princess quickly moved to Buckingham palace, which in later years, she called “a cozy home.” After hiding out in Windsor castle for five years during World War II, Princess Margaret broke out of a royally imposed cocoon, and transformed into, well, it’s up to the viewer to decide if she was truly a beautiful butterfly or a salacious leech. As millennial, who is used to being inundated with news about the Kardashians, the royals, and about pseudo-famous celebrities-- hearing and seeing archival footage of Princess Margaret downing drinks, crashing parties and creating notorious love triangles for fun is quite addictive. Even more enticing than reading fast articles on current celebs. You can watch Episode one on MPT.org.